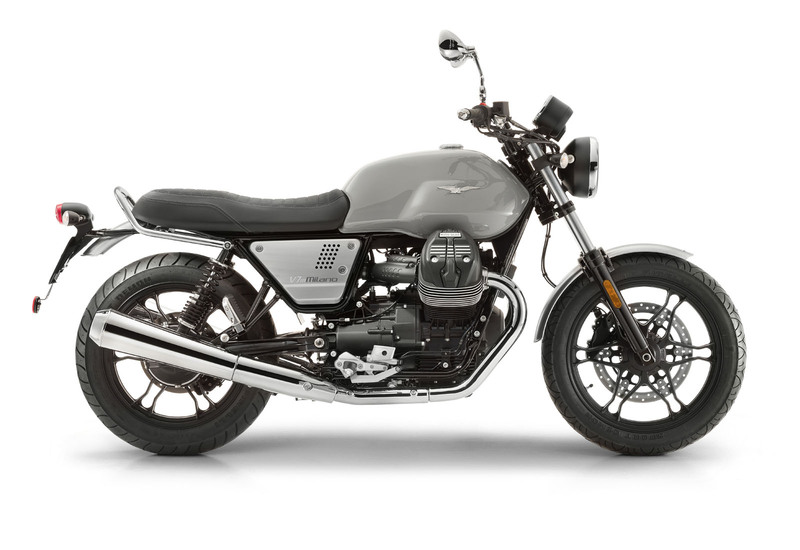 A bike that quietly but confidently exudes effortless style and impeccably combines the best of traditional and modern. Perfect for both a leisurely Sunday ride for lunch by the harbor and for zipping through traffic during rush hour. 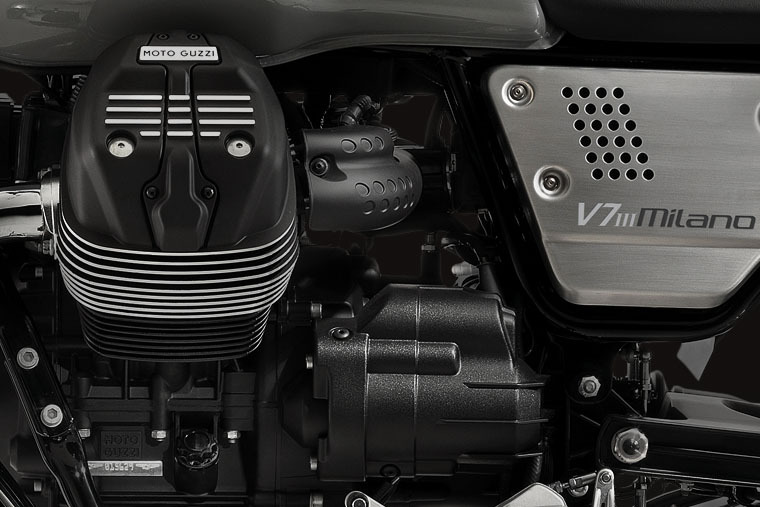 As with the other members of the V7 III family, the brand new V7 III Milano is powered by the legendary transverse V-twin engine with its tough sculptured look. 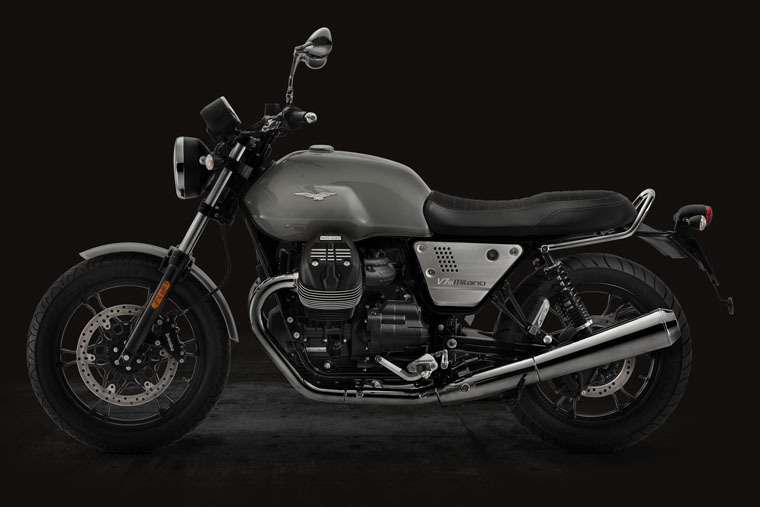 Agile and versatile, with smooth, fluid gear changes that require only the lightest touch to the lever, this bike can be summed up in just a few words: maximum riding comfort. 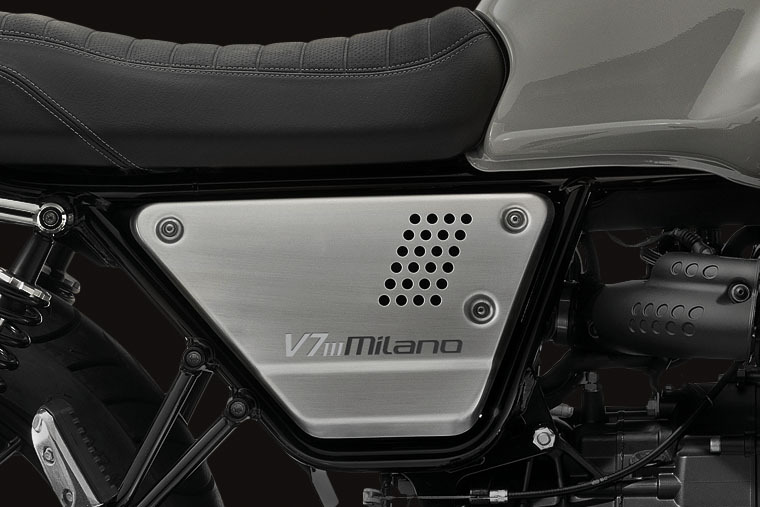 To be truly great, you have to know how to move with the times and the V7 III Milano has embraced this philosophy fully, combining classic elements from the V7 III Special with the best of modern materials. 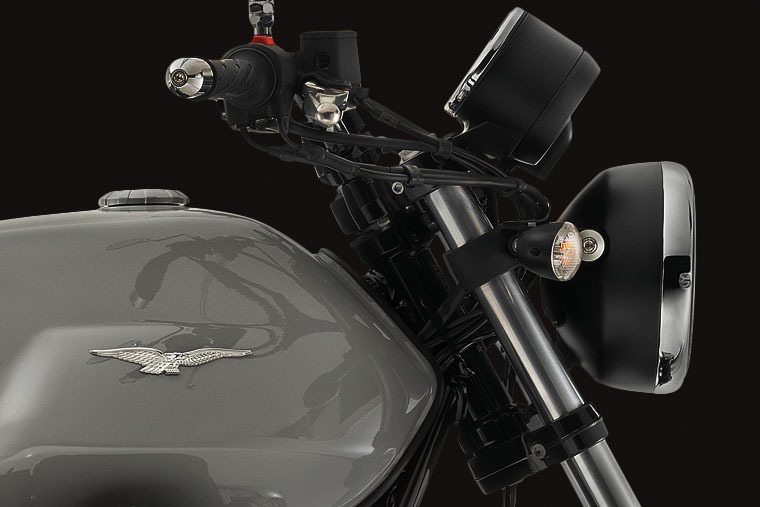 A retro dual-dial instrument panel, the chrome exhaust and passenger grab handle, and the glossy tank colors are perfectly offset by the aluminum fenders and side fairings. The result is an eye-catching and seductive machine. The Milano has the utmost respect for tradition but isn’t afraid to embrace contemporary style with modern details like its alloy rims. With its fashionable looks and prestigious detailing the new V7 III Milano offers style lovers the chance to add their own personal touch. 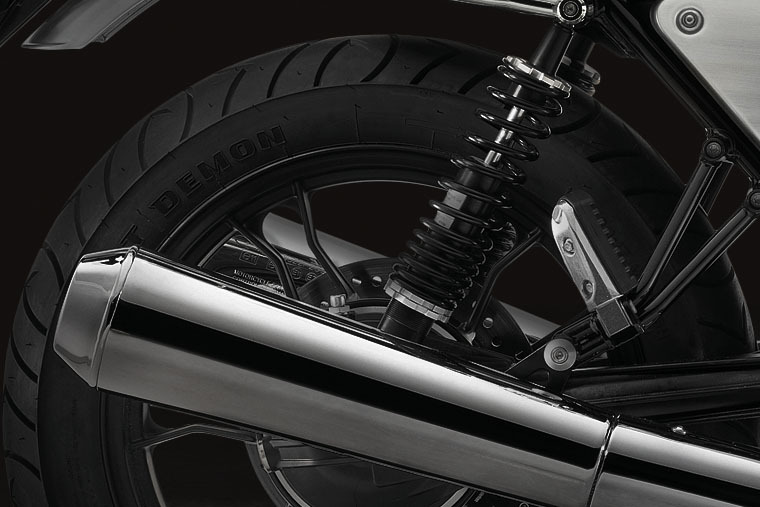 Even the most style-conscious riders will be pleased to find plenty of special parts and extras where they stamp their own look on their bike.